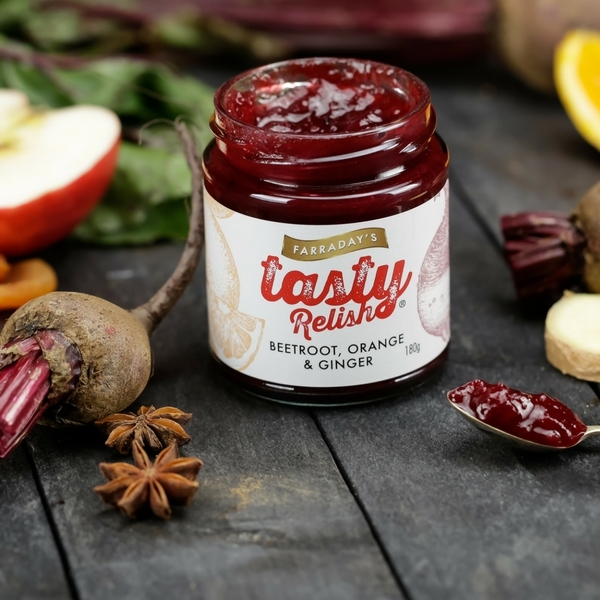 The Beetroot, Orange and Ginger Relish is the perfect addition to any dish, hot or cold! 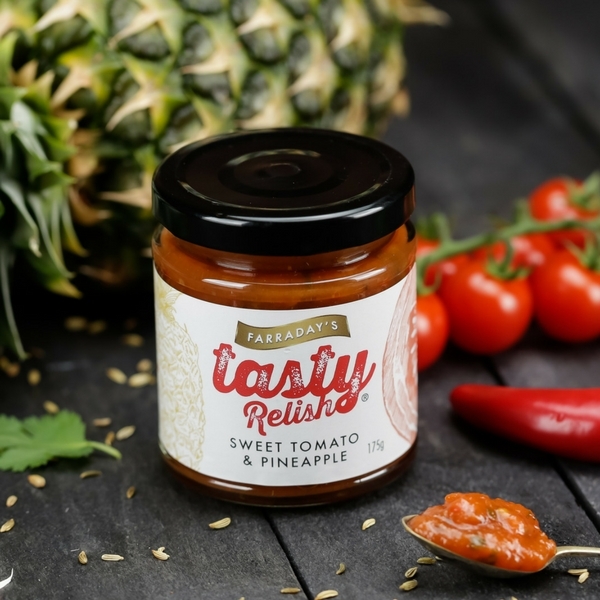 Whether you are looking to have a wine and cheese evening, cook a roast for the family or fancy some spicy seafood, the Beetroot, Orange and Ginger Relish will bring out an exotic fusion! 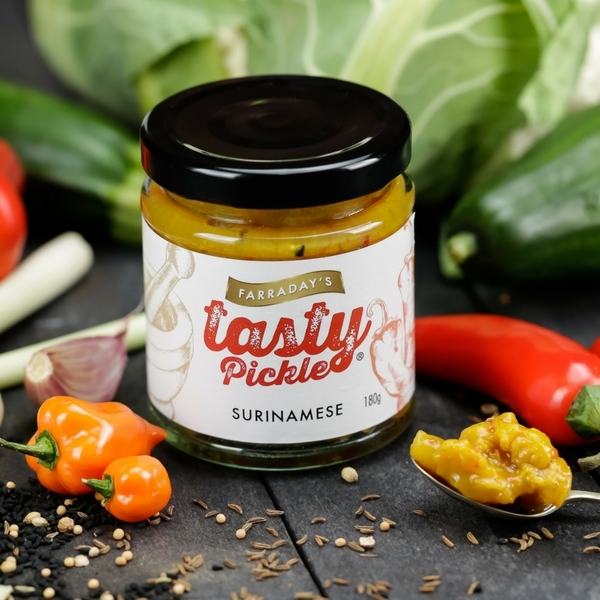 This relish is definitely a great accompaniment to anything and everything! 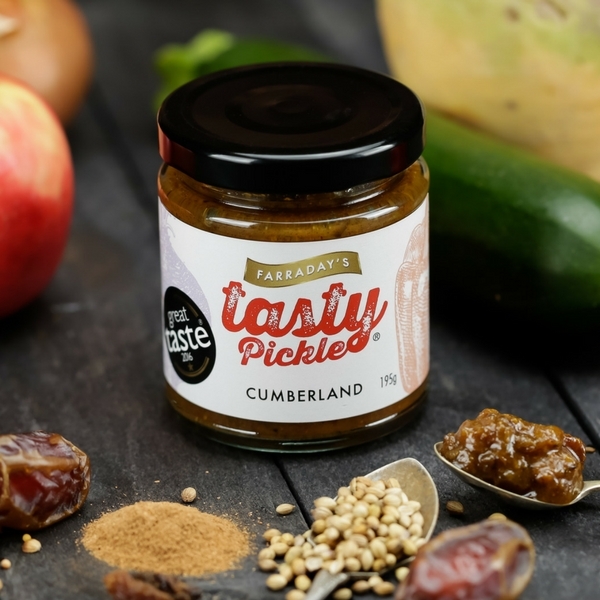 The relish has a careful balance of ingredients to allow for a gentle spiced back ground heat, is free from preservatives, additives and gluten free. 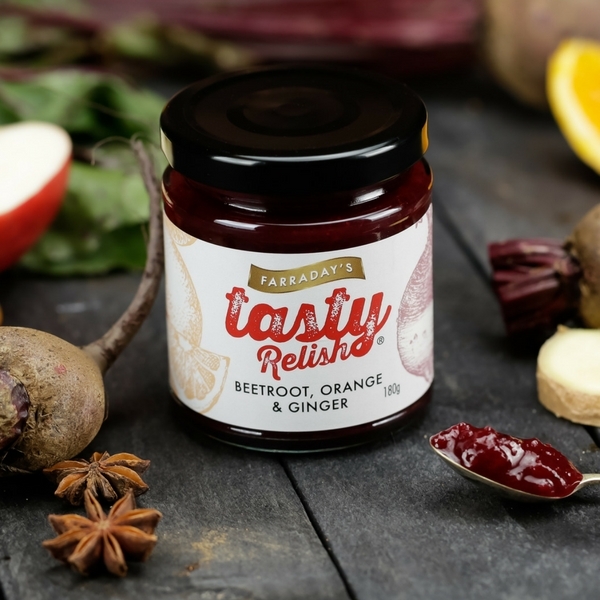 Like most of our chutneys, sauces and relishes the Beetroot, Orange and Ginger Relish is 100% natural. Ingredients – Beetroot (25%), Acetic Acid, Sugar, Apple, Onion, Dates, Orange (3%), Root Ginger (2%), Apricots, Salt, Spices. 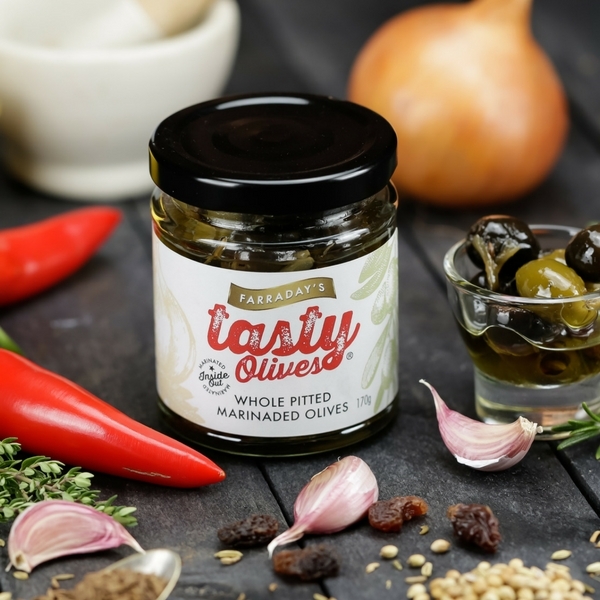 Nutritional Information per 100g Jar – Energy Kcal 132, Energy kj 560, Protein 1, Carbohydrate 29.8, Sugars 28.2, Fats 0.1, Saturates 0, Fibre 2, Salt 0.1.